Anyone with irritated, inflamed skin probably wants a solution, and one that acts as quickly as possible. What will soothe skin that's suffering from conditions including discoloration or welts? That is a question many people ask when red, puffy areas appear on their face or body. Skin inflammation is a common occurrence that almost everyone experiences at one time or another. 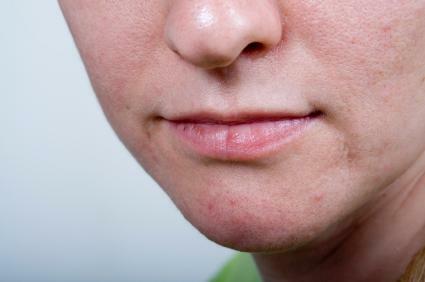 Inflamed skin may remain localized in a small area or cover wide swatches of the body. The affected area is characterized by discoloration of the skin, most often in the form of red, pink or purple shading. Raised welts, bumps and pus-filled sacs may also develop, but this does not always occur. Skin redness alone is no reason for alarm, but if accompanied by fever, fainting or other symptoms, you should visit your physician. So what will soothe inflamed skin? Try some tender, loving care. Use caution and a gentle touch when caring for your hurting skin. Start the healing by cleaning the wounded area gently. Avoid using scratchy cleansers or cloths on the area. If the redness appeared on the face, cleanse the skin with a hypoallergenic facial cleanser. Dampen a soft cloth or use your fingers to wet the skin with cool water. Then lightly apply the face gel to your wet skin. Rinse the cleanser away promptly to avoid making the area even drier. Use cold compresses to lower the temperature of the skin and to reduce redness. Follow up a cold compress with a soothing moisturizer. Pierce a vitamin E capsule and use the ingredients on the area. Aloe vera gel or hypoallergenic lotions may also help. Avoid fragranced lotions, which may increase redness and pain. When painful inflammation appears on your body, you need to start treatment with a good soak. Run a tub of warm water and soak for 10 to 20 minutes. Wash your body by adding a few drops of antibacterial soap to the water. Oatmeal is another popular home remedy that is thought to ease redness and inflammation. Simply add two cups of oatmeal to your bathwater and soak. After the water becomes cool, rinse the oatmeal from your skin and dry off by patting - not rubbing - your skin. Apply pure aloe vera gel or a therapeutic moisturizer to damp skin. Swap out your laundry soaps and skin care products. Your brand may be making you itch and causing sudden allergies. Try a hypoallergenic variety, if possible. Run a humidifier in your bedroom. There may be dryness in the air, which may make inflammation worse. Steer clear of caffeinated drinks or alcoholic beverages, and increase your water consumption. Try an over-the-counter medication, such as hydrocortisone, for relief. Do You Need A Doctor's Care? If your rash persists after home treatments, or worsens, seek medical attention. Persistent inflammation could indicate more serious skin problems or disorders. The sooner you begin treatment, the sooner you can get relief from irritating skin conditions.